Donald Trump’s administration will be made up of individuals willing to make changes to American policy, former CIA director James Woolsey, his senior adviser, told RT. He went on to say that, as a man who was opposed by both parties and major media outlets during the election, Trump has endured to spark a “populist spirit” across the US. 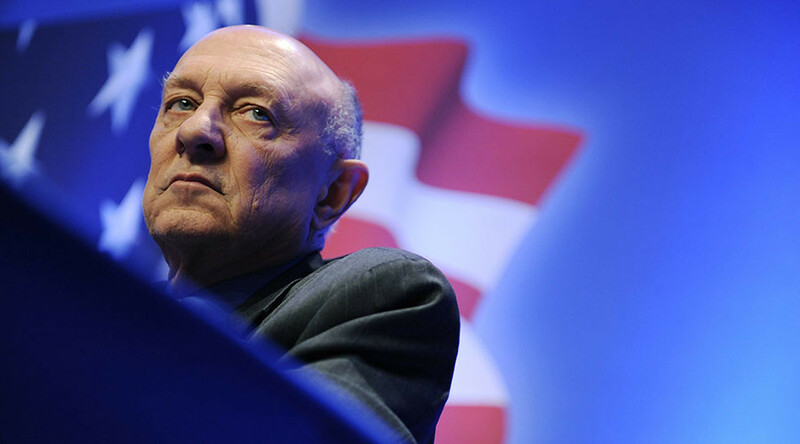 “Positive change” under the Trump presidency can spread across US borders, Woolsey said, stating that “there are opportunities for former adversaries such as the US and Russia to work together on some things,” particularly noting Islamic State (IS, formerly ISIS/ISIL). Trump’s unexpected victory earlier this month, which saw him handily winning the Electoral College but losing the popular vote to rival Hillary Clinton by a narrow margin, has sparked protests across the US. The full interview with Woolsey will be aired on RT’s Worlds Apart program hosted by Oksana Boyko on Thursday.